Why is that country taking a distorted view of Ukraine? Past year Ukrainians discovered the Kingdom of the Netherlands – from a negative viewpoint though. In April 2016 that country – the only one among 28 members of the European Union – held a referendum on the EU-Ukraine Association Agreement. And, much to our regret, the majority of a little more than 30 percent of the Dutch who turned out, voted against the ratification of this agreement, even though both chambers of the Netherlands parliament had approved it before. Although it was an advisory referendum, the Dutch government suspended the ratification. It is due to the Netherlands that Ukraine cannot finish the procedure of ratifying the agreement with the European Union. Of course, this raised the question of why the Netherlands turned out to be the only EU country to block ratification of the Ukraine-European Union Association Agreement. Thus, one of Europe’s oldest democracies has in fact thwarted the hopes of Ukrainians to come closer to Europe and the standards it fosters. This also looks strange because the motto of the Kingdom of the Netherlands is “I Will Uphold,” which means maintaining sovereignty and territorial integrity, for which the Ukrainian nation is now fighting in a face-off with Russia which has annexed Crimea and continues its aggression in eastern Ukraine. On the other hand, taking into account that Ukraine is striving to carry out reforms to become a successful and, accordingly, investment-attractive country, this always raises the question of how other countries achieve success what we can borrow from them. The Netherlands is a successful country indeed. That country with a population of 17 million ranks 17th and 15th by the overall and per capita GDP (770 billion and 45,200 dollars, respectively). Holland’s highly-mechanized and export-oriented agrarian sector employs a mere 4 percent of workforce, while agricultural export accounts for 21 percent of the country’s overall export. Another hallmark of the Netherlands is bicycles. There are 18 million of them – in other words, practically every Dutch person has a ‘two-wheeled horse.’ The number of cars is half that of bikes – 9 million. It is common knowledge that the Netherlands is the birthplace of many world-famous artists, such as Rembrandt, Vermeer, Van Gogh, and many other masters. Also born there were Erasmus of Rotterdam and Spinoza, while Descartes wrote his main works in that very country. Dutch society is egalitarian, individualistic, and modern. As a rule, people consider themselves modest, independent, and self-sufficient. They value talents in contrast to dependence. The Dutch are proud of their cultural heritage which is rich in history and involvement in international affairs. The Day requested some experts to say what can be attractive in the Netherlands for our country and what Ukraine’s image among the Dutch is. 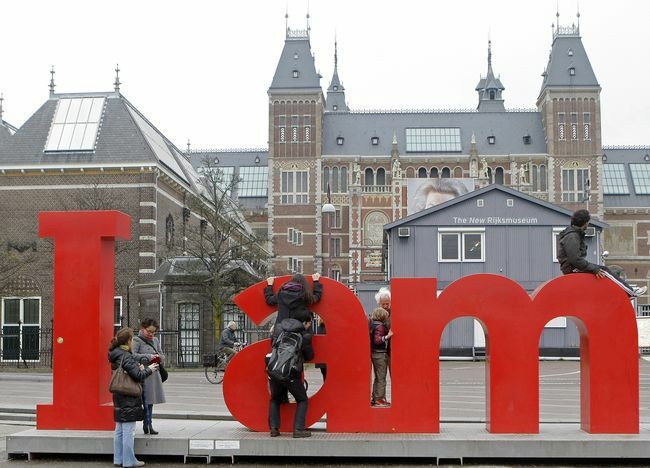 “Tulips and art are part of Holland’s economic image. The Mauritshuis museum in The Hague has a picture, Girl with a Pearl Earring, one of the best-known artworks by the Dutch painter Jan Vermeer. It is often called northern, or Dutch, Mona Lisa and is considered the Netherlands’ worldwide trademark. “Besides, fine arts are one the ways for the state to uphold its history and achievements. “For example, the Dutch organized an exhibit to mark the 500th anniversary of the death of Hieronymus Bosch (1450-1516), the most prominent Northern Renaissance master. The exhibit, ‘Visions of Genius,’ staged in Hertogenbosch as part of the Bosch Year in Europe, displayed 20 pictures and 19 drawings. The city, where the painter was born and raised, has never seen an exhibition of so many items. This is an example of the Dutch’s attitude to their heritage, which commands deep respect. “Naturally, another image of the Netherlands is tulips. It is their national symbol. As is known, tulips were brought to Holland from Turkey, but they became the Netherlands’ hallmark. “Holland is attractive to us and the rest of the world because it is one of the few countries, where innovations are the linchpin of development. “It may be recalled that the Dutch were the first to use ‘green’ energy. And this sector works very effectively. According to the published information, the whole energy the Dutch railways used in 2015 was ‘green,’ for it was generated by wind and water turbines. “Another example is the so-called smart houses. The houses based on this concept help people live in them. If a pensioner lives in a smart house, the latter independently reacts to his or her behavior. If an old-age person has not been moving for several hours, the house reacts to this and signals that somebody must come and see what happened. “The Dutch also initiated the construction of smart roads to save as much energy as possible. “The Dutch public is now widely discussing the idea of preventing those who use various gadgets and pay no attention to what is happening around them from being run over. “In my view, the key feature of the Dutch is the ability to survive. The reason is that they live on a territory, a considerable part of which is below sea level. And they must be always prepared to resist any elements that may occur. This has happened more than once in their history. “As for the disastrous referendum on the EU-Ukraine Association Agreement, the root cause is not in Ukraine. We should look at this not from the angle of Ukraine as the referendum’s object but from a different viewpoint. “Dutch society is rife with debates on the referendum law which was applied for the first and the last time. This law showed how a democratic instrument can be used for ruining democracy. “Some publications are saying that it was an attempt of certain political circles to enter the active political life of the Netherlands. Some politicians who favored the referendum and called for voting against the agreement will be run for parliamentary seats in the elections to be held on March 15. “It is very difficult to get into the parliament of a country with such a history of democracy and state-building if the candidate has not taken part in this process and has no achievements that promote the development of democracy, the state, and society. This is why some political circles tried to do this fast, particularly by means of the referendum campaign which was sheer populism. And now they will be saying that they insisted on the referendum, it was held, and people expressed their opinion. “The process of Association Agreement ratification will be completed when parliament ratifies the document and the instruments of ratification are sent to the depository. “The Dutch have a feeling that they maintain strong ties with Russia – what is more, not with the Russian Federation but with Russia as the Russian Empire. Anna Pavlovna, a sister of Alexander I, was married to Prince William of Orange. “But this was in the past. And our intention and goal is to make the Dutch recall that it is they who taught the Russian Empire to organize a democratic and progressive society. I say to them sometimes: you taught democracy to Peter I, not the other way round. “It seems to me there is a growing understanding that Russia is not the Soviet Union and not the Russian Empire, that Ukraine or, say, Kazakhstan is not Russia. In my opinion, the Dutch are rather successfully reconsidering the realities of the present-day world. For it is one of the world’s advanced nations, and it would be wrong to think that they don’t understand something. “Holland is a Protestant country. Thanks to the rationality of thinking and efforts of its population, it has become one of the most successful countries in terms of business. What is more, it is about not so much big as medium and small-scale business. The Dutch take a rational approach to everything in the system of life, including land reclamation. They take a rational approach to resources and environmental improvement. “Tulips are Holland’s trademark. The Dutch floriculture is worldwide business now. We have also borrowed some of its elements and are growing, together with the Dutch, certain varieties of roses and tulips. “What we perhaps fail to do is propagate our potential in the Netherlands. There were attempts in the field of shipbuilding and telecommunications in the mid-1990s, but the Russians pushed us off this promising cooperation. “It will be recalled that, after Ukraine had gained independence, there was a mass-scale inflow of the Dutch small- and medium-scale capital and, what is more, we learned how to do business. They saw the great potential of farming in Ukraine. But the Dutch were disappointed with being unable to carry out the projects they planned. “Now the Dutch are taking a wait-and-see approach. If we carry out true reforms and make changes, improve the medium- and small-scale business climate, and manage to show a greater ability to cooperate and attract, the Dutch will be our best partners. “As for the image of Ukraine among the Dutch, I think it will be worthwhile to recall a poll conducted by TNS at the request of the Institute of World Politics in 2015 (http://iwp.org.ua/ukr/public/1802.html). The survey showed that, among the residents of eight countries in which the poll was held, the Dutch were the most unable to explain why Ukraine should be an EU member. According to the same poll, Ukraine mostly called up negative associations in them, such as conflict/war, Russia, Crimea. And there are ample grounds for this. We are unable to put across even Ukraine’s real successes to the Dutch timely and effectively. The point is that advocacy campaigns should be carried on in good time, not on an ad hoc basis. “As for the perception of the Netherlands by Ukrainians, I am not aware of any concrete sociological surveys. At the same time, in my view, the Netherlands is considered, above all, as a successful country. That country can show Ukraine an example in many spheres, particularly in its attitude to human rights, the environment (Holland is believed to be a country with some of the highest ecological standards), and the development of entrepreneurship. Incidentally, human rights were one of the main issues broached by the Dutch experts who came to Ukraine on a fact-finding visit at our institute’s request in 2015. I think that, for Ukrainians, the Netherlands is a nice country, where one can develop, work and study successfully – it is a country of opportunities. “There are quite a lot of stereotypes about Central and Eastern Europe. Many people still consider this region an eastern bloc, even though the Berlin Wall fell in 1989 and many other things have occurred since then. As a result, many Dutch people see a distorted image of Ukraine because they view it as a ‘gray’ post-Soviet country. Another image is that it is a well-known corrupt state into which the Netherlands ‘must not inject any funds.’ Most of the Dutch are aware to some extent of the fact that many Ukrainians want to put an end to corruption and that it is an energetic society which does not correspond at all to the Soviet image. “Why did Ukraine fall victim to the referendum in April past year? On the one hand, it can be explained by the fact that the Netherlands has a wrong image of Ukraine. On the other, referendum organizers spread a lot of lies about Ukraine – for example, that the country is in the grip of a civil war (whereas it is not a civil war!) and, therefore, Ukraine cannot join the European Union (although the Association Agreement does not envisage Ukraine’s EU membership), that the far right neo-Nazis have thronged the streets (it is the Kremlin’s outright and mendacious propaganda), that Ukraine is totally corrupt and the EU must not give Ukraine any funds (even though the Association Agreement has never envisaged any commitments to give money to this country). The EU-Ukraine Association Agreement was chiefly used as a pretext to express the existing discontent about the EU. The referendum was based on this, and Ukraine became an unfortunate victim. If any other international agreement had been put to the vote at that moment, the referendum organizers would have done the same.